Predicting what could go wrong before it happens is a great way to get out of the success-biased mindset we tend to have when we consider new projects. The idea also meshes with our “trends will stop if they can’t continue forever” theme of the past few weeks. Often, it's difficult to visualize what the end of a trend might mean. Assuming change, or failure, forces you to make that adjustment. Let’s look at how this might play out with retirement planning. The usual process is to put together your investment portfolio and decide where you want to live, what you will do with your time, and so forth—all under the assumption that everything will go well and any problems that may arise won’t derail your plans. Doing a premortem turns that assumption on its head. What if the market crashes? 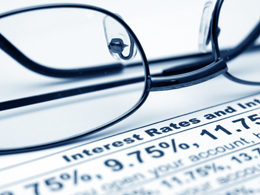 What if interest rates drop? What if you have a health problem? What if your kids need money? If you think these things through ahead of time, you’ll be much better prepared—even if they never happen. For instance, let’s define failure in retirement planning as running out of money at age 75. Instead of assuming this couldn’t happen, why not figure out how it might possibly happen, and then take steps to avoid it? A premortem is really just a structured way of thinking through the future, something I’ve mentioned many times before. Given how irrational and success-biased we can be, it's a very useful psychological trick. One way to make a premortem more effective is to explicitly adopt the “outside view,” another Kahneman concept. The outside view ignores the specifics of a particular situation, looking instead at how other, similar situations have played out. Most projections we make are based on an inside view of the situation, colored by all the specifics. The outside view offers a valuable corrective. My interest rate projections for 2014 are a good example. Based on my inside-view analysis, I concluded that rates would rise, which has turned out to be wrong. The outside view would have considered the fact that interest rates remain low for extended periods after financial crises—and determined that rates were likely to remain low or even decline, which would have been correct. What's especially frustrating is that I did exactly that kind of analysis but ultimately opted for the inside view over the outside. Decision-making is hard, and any tools that can make us better at it are valuable. Consider doing a premortem, using an outside view as a frame, for the next major decision you make. It just might help you avoid some errors.